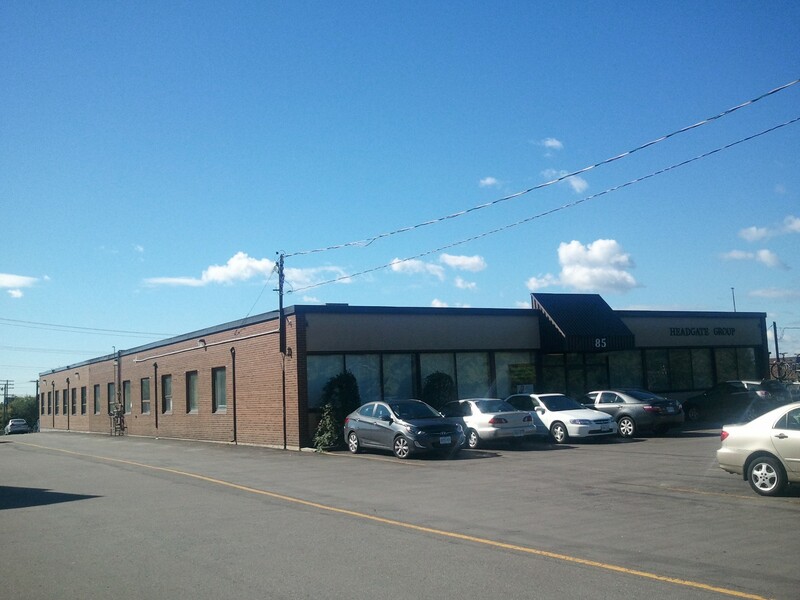 We have for lease small offices spaces in Don Mills, Toronto. 85 Curlew Drive is a one story, fully air-conditioned, office building with approximately 12,000 sq.ft. divided into smaller units. The smallest unit is about 550 sq.ft. and the largest is about 1600 sq.ft. The building is located at Victoria Park Ave. and Lawrence Ave., only a few minutes from the Don Valley Parkway interchange at Lawrence Ave. It is also about 5 km south of the 401 at Victoria Park Ave. The building has plenty of free parking and frontage on Lawrence Ave. There are several restaurants, transit stops, and a large shopping centre within a few minutes walk from the building. The building has abundant Telco facilities, and high speed internet connection, through ethernet, is available. The units are therefore especially suitable for companies involved in activities such as web design and other computer related activities.